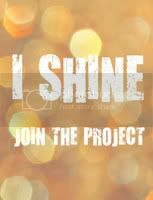 Our Happily Ever After: Shine Project Link up! Ok so I have this amazing cousin Ashley. for ourselves and other people. infect them with our smiles and rays of sunshine! This week was Spring Cleaning! And to donate it to a charity, or anyone that you knew needed it. I wish I looked like this when I cleaned sheesh! cuz they are so stuffed! So this was a perfect opportunity to help out! and a bunch of stuff. woohooooo!!!!!! great work girl! love it!